Beginning in Summer 2017, Brightline, the nation’s only privately owned passenger rail system, will roll-out their inter-city service in Southeast Florida. Phase 1 will include service from Miami to Fort Lauderdale and West Palm Beach; while Phase 2 will feature an extension up to Orlando. A welcome alternative to the congested Southeast Florida roads, Brightline will take passengers from Miami to West Palm Beach in about an hour. And when Phase 2 is completed, it will take the stress off the roadways to one of Florida’s top tourist destinations. 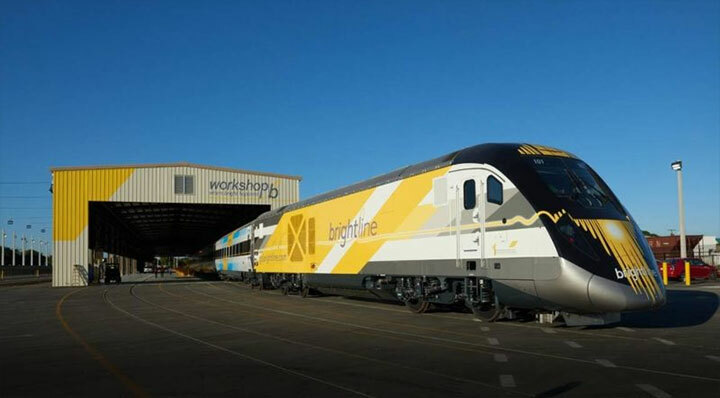 And the good news is, Brightline coaches were built from the ground up to exceed the Americans with Disabilities Act (ADA) compliance standards. Brightline trains feature level boarding and utilize automated retractable platforms that are integrated into the train car door systems. Prior to the doors’ opening, the platforms extend up to 12 inches from the train and pivot to create a flush surface, making it easy for wheelchair-users and slow walkers to board the train. Brightline’s interior aisles are 32 inches wide — wider than any other train – and they provide ample space for wheelchair-users to access all areas of the train. Interior vestibule doors slide open and close automatically, so guests can seamlessly move between coaches. Additionally, each coach includes a spacious restroom that is ADA accessible and features a toilet with a touchless flush system. Brightline will also offer complimentary Wi-Fi, and include built-in power outlets and USB connections under the armrests, in the seat pedestals, and in pop-up style table units. All in all, passengers will have a very comfortable, connected an accessible ride on Brightline. For more information on Brightline’s schedules, fares and services, visit www.gobrightline.com. ‹ Do You Need Travel Insurance? › Can Hotels Charge More for an Accessible Room?